Over the weekend I whipped up a pattern hack that had been bothering my brain from the minute I released the Moselle Ruffle Top pattern – a Moselle maxi! An Instagram poll suggested some of you would be interested in a tutorial so, voilà! This is an incredibly quick and easy hack but the result is elegant and versatile. Firstly decide how long your dress is going to be. Take a tape measure and measure from your high bust (i.e. where the top of the dress will sit) to where you’d like the dress hem to finish. (I like to have the ‘starting’ end, i.e. 0 cm, of the tape measure towards the floor so it’s easy to read the total length at the underarm.) Add 4 cm for seam allowance. Trace your Moselle dress pattern piece onto a large sheet of paper. Trace the line where you would cut the pattern for a waist-length version. Now take your tape measure and extend the CF/CB line down to the length you calculated above. Mark a short straight line (about 2 cm) over at the bottom. Measure the distance from the original hem to the new hem point. 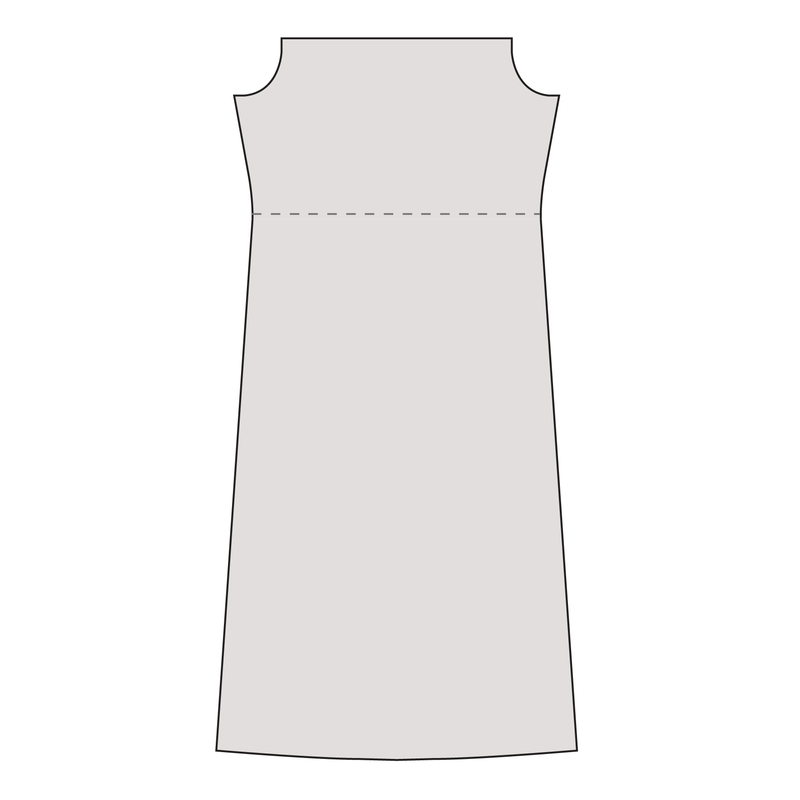 Extend the side seam of the dress down by this amount, continuing at the same angle. 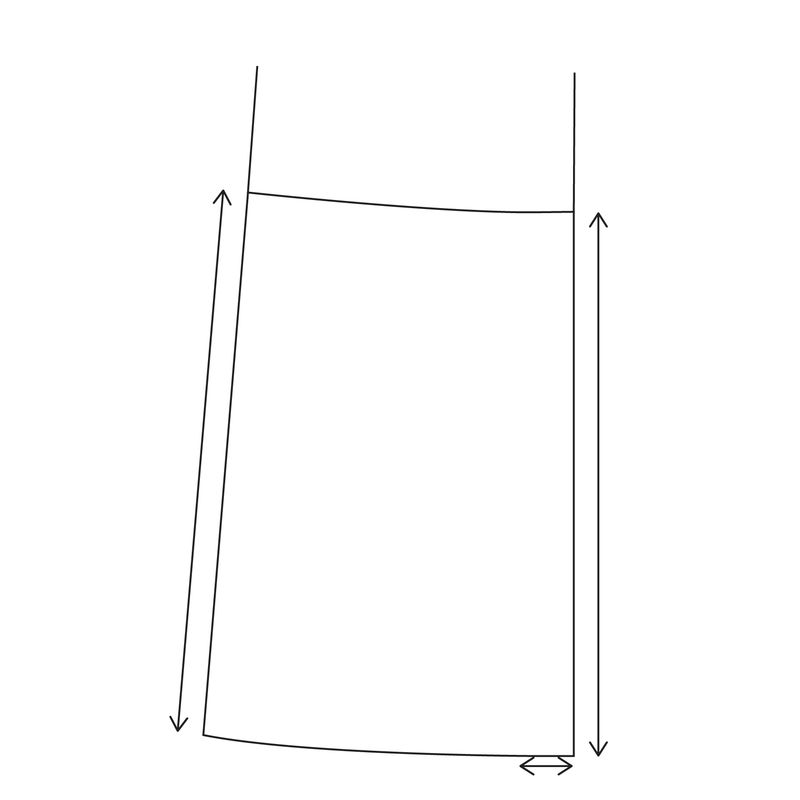 Now connect your new side seam to the short straight line at the base of the CF/CB, with a slight curve, to create your new hem line. Cut your fabric using your new maxi pattern piece. Don’t forget to still cut the ruffle pieces! 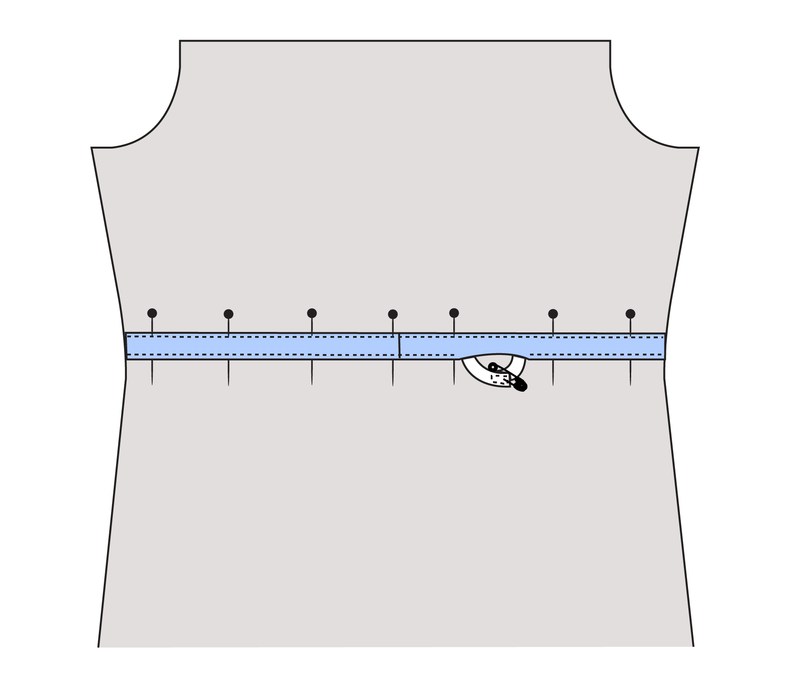 Mark the waistline (on the wrong side of the fabric) with tacking, tailor’s tacks, or chalk. 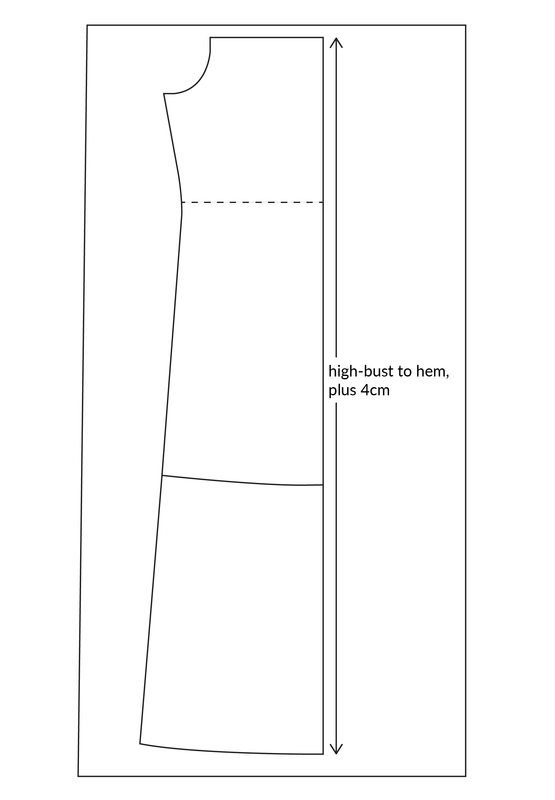 Make up the dress following the instructions for the standard dress pattern. To gather the waist, measure the waistline on the pattern piece and times it by four. Cut a piece of 15mm bias binding (this will be its folded width) to this length. Press it open so it is just a strip. If you are making your own bias binding, cut it so the strip is at least 2cm wide. Pin this bias strip all around the waistline on your dress, on the wrong side, overlapping the ends. Stitch the strip in place along the upper and lower edges, leaving a wide enough channel for 10mm elastic. Leave a 5cm gap in the stitching on one edge to insert the elastic. Cut a piece of elastic to fit comfortably around your waist, with an overlap. Insert the elastic into the waistband channel and try on the dress inside out so you can adjust the elastic to fit, with overlapping ends. Trim away any excess elastic and stitch the overlap to secure. Stitch up the gap in the channel. Your maxi dress is now finished! I hope you found this tutorial helpful – just let me know if you have any questions. By the way, the fabric I used for my version is a lovely light viscose from Lamazi Fabrics. I can’t wait to wear it on holiday! « The Summer Essentials Capsule Collection! This looks amazing! Definitely perfect to wear on holiday. This dress is amazing! You look great in it! Great colors and the perfect length of the dress for me! And all this beautiful ruffle. I love this dress!